Offer a special gift especially for those who are really important to you: the Signature gift voucher. 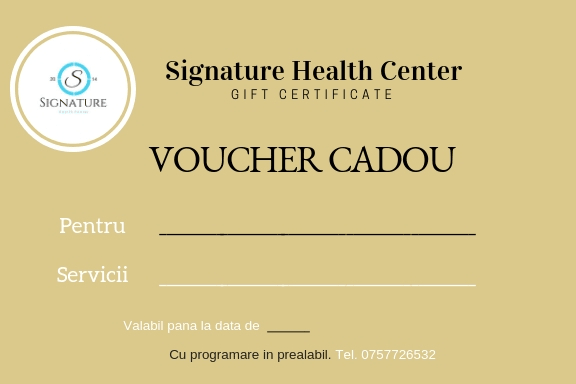 You can choose the services you want to make a gift from our services and we look forward to coming to Signature Health Center Cluj to prepare the surprise together! The voucher is valid for our cryotherapy, relaxation & therapeutic massages, body remodeling.